Ready to play Cupid this year? 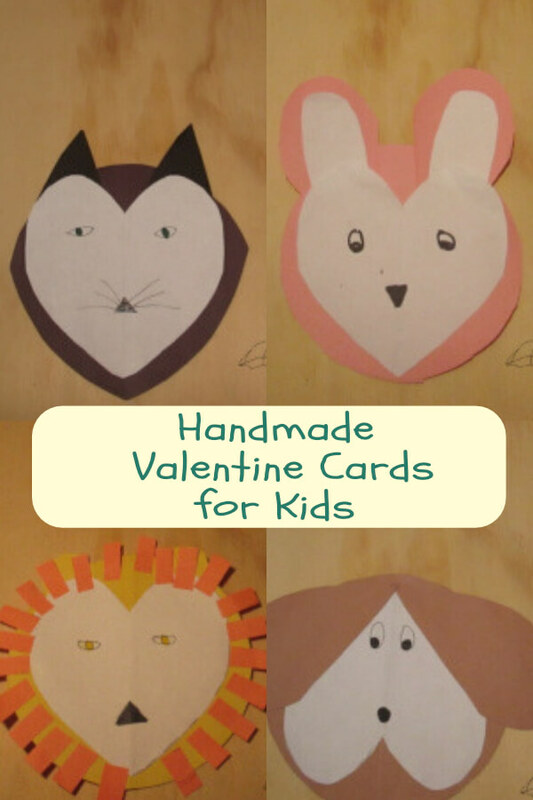 People love handmade Valentine cards for kids. 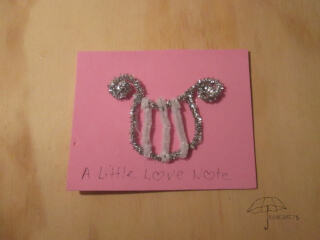 These little love notes are easy to make. 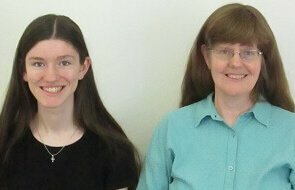 Read about how to make a heart. Then click the pictures to take you to the individual Valentine Cards for kids. 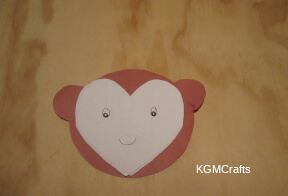 Here, make a heart and send it as your of Valentine card for kids. All you need is some colored paper. Pink, red, white, green, or blue; any color which makes you happier than a singing lovebird. Hold the paper so that the folded end is next to the hand that you use for writing. For most people, this will be their right hand. 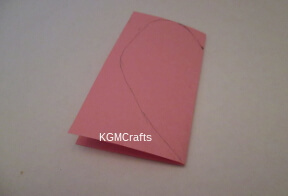 Next, take a pencil and place a dot about 1 inch from the top of the paper next to the fold. From your dot draw a curve up to the top of the paper. Now continue to draw a line on the open end of the paper. You will angle your line down to the bottom of the paper. Now cut on your line. Unfold the paper and you should have a heart shape. Write your message on the heart. Or use it to make the cards below. Who thought that you could use a heart to make animal faces. 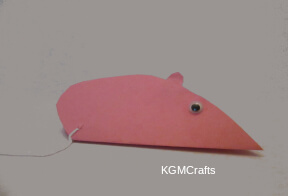 Usually, a sheet of construction paper is enough for two animals and the ears. Cut a 5 by 5-inch heart from white paper. Cut a 6-inch circle from brown construction paper. 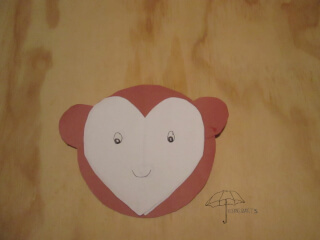 Cut another heart from brown paper. Cut the heart in half on the fold for the ears. 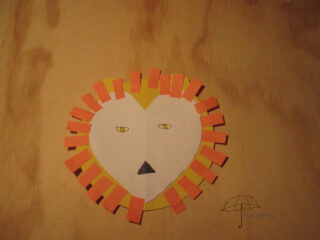 Place the heart on the circle and glue. Draw eyes and a nose on the white paper. Cut another heart from white paper. 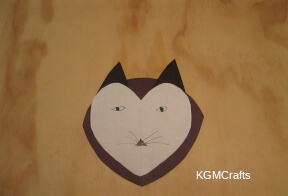 Use black construction paper for the circle and ears. Glue the heart to the circle. 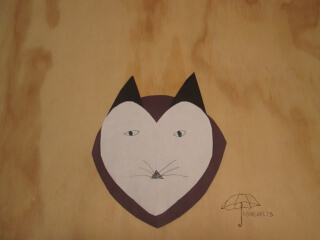 Narrow the sides of the circle so that the cat's face is not so round. Draw almond shapes for the eyes and a triangle for the nose. 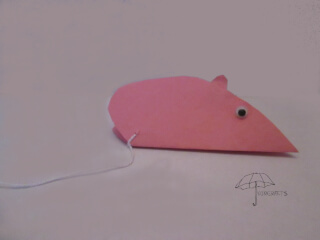 Add some lines for whiskers. Cut a yellow circle. Also, cut two 1 1 /2 inch circles for the ears. 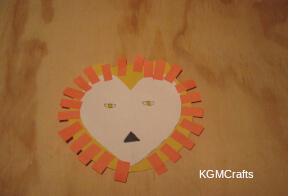 Cut strips of orange paper 1 /2 by 1 inch for the mane. Start at the top glue the strips to the circle leaving a space between each strip. You will want some of the yellow showing. 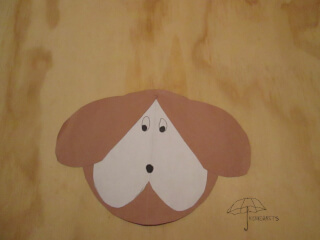 Cut a brown circle and brown round ears. On the heart draw two eyes and a smiley mouth. Glue the ears on the side of the heart across from the eyes. Cut a brown circle, two oval ears, and two horns. The horns are about 3 1/2 inches long. 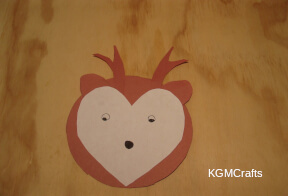 Glue the oval ears and horns to the top of the heart. Glue the heart to the circle. Add eyes and a nose. 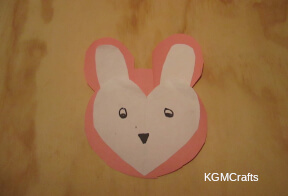 Cut a pink circle and heart from construction paper. Cut the heart in half to make the ears. Cut two white ovals that will fit inside of the half of the heart shape. 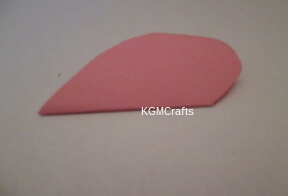 Glue the ovals to the pink ears. Glue the ears to the white heart. 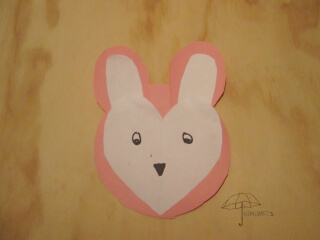 Glue the ears and heart to the pink circle. 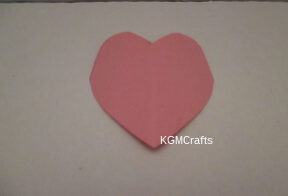 For the body make a heart using a 4 1 /4 by 3 1 /2 inch piece of paper. Keep the heart folded. The pointed end will be the nose. 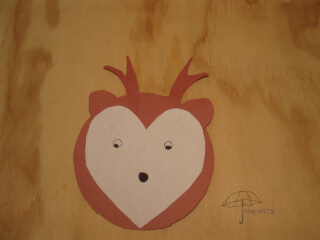 Make two hearts about 1 inch for the ears. Glue the ears about 2 inches from the nose. Glue wiggly eyes between the nose and ears. Thread a needle with craft string. On the top of your heart near the fold make a stitch and tie. You will want the string to look like a tail. Taped the small end of the string to the inside of the heart. You are done! A lyre is similar to a harp, however, it is different. It is played by being strummed with a plectrum (a.k.a. a pick). But even if you're not a musician, this would be a great card to give to the one you love. 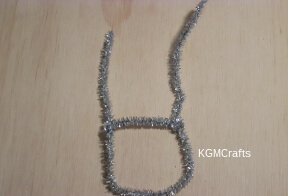 Take one of your sparkly silver pipe cleaners and bend it into a "U" shape. 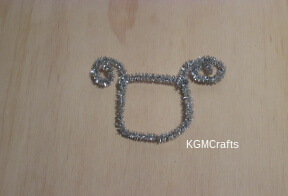 Take other pipe cleaner and cut it so it is 2 1/4 inches. Place it about 3 1/2 inches from the ends of the "U" shape. Twist the ends of the "U" shape into a spiral. 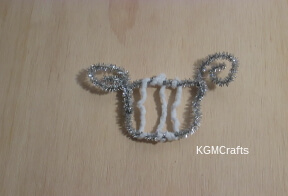 Cut three pieces of the white pipe cleaners, each 2 1/ 2 inches long. Twist one of them between the bar and the end of the "U" shape. Do the same of the other two pieces. Now you have your lyre. Cut a piece of craft foam 5 1 /2 by 4 1/ 4 inches. Glue your lyre to the top part of the craft foam. With your marker write a nice note on the bottom part. Write "A Little Love Note". Or you can write something to do with a song or maybe just, "Happy Valentine's Day!" 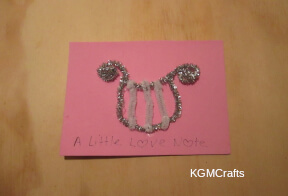 There is just something special about handmade Valentine cards for kids.